More intimate, compact, and improvisational than ballroom-style Tango, this version is more closely related to its Argentinian roots. 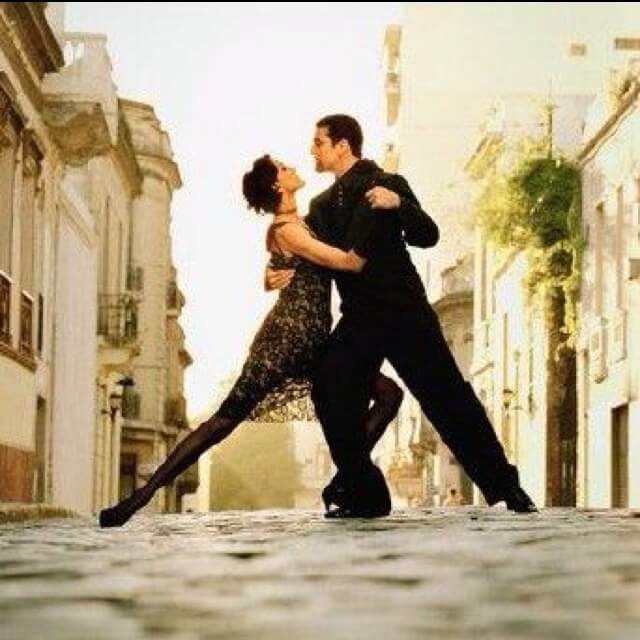 Argentine Tango music emphasizes the melody and allows for a more forgiving and creative rhythm. Often utilizing an embrace hold, a more compact frame, and posture, and intertwining leg and footwork, Argentine Tango dancers should be comfortable getting close to their partners and willing to share an intimate evening of dance. There are three dances that complete the Argentine Tango experience. Argentine Tango, or “Salon Tango,” is the primary style, has a smooth and melodic feel, and is what our core classes are based on. “Milonga” is very similar to the Tango, but is usually danced to music with a steady and more jovial rhythm, giving the dance a brisk and bouncy feel. “Vals” is danced to music that is in ¾ time, where most of the steps are danced on the 1st beat of the measure.